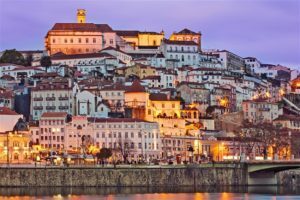 In many cities, in addition to cultural and historical attractions, the coastal zone deserves special attention, not to visit which means to miss a lot of interesting and worthwhile. 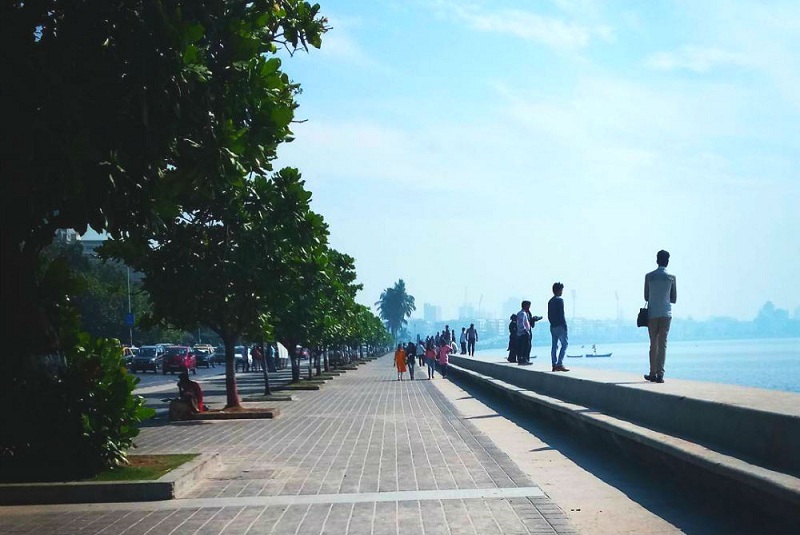 We propose to make a promenade through the most picturesque embankment of the world: from France to Singapore and from Greece to India and the USA. Perhaps the most famous embankment. It is here that the Festival Palace of the most important film festival of the world – Cannes. Next to it is the Old Port, where the cruise liners and yachts of movie stars, millionaires and oligarchs moor. The length of the embankment is 2.8 kilometers. The main attractions: the hotel “Carlton” and the casino “Palm Beach”. Well, and, of course, the beaches. 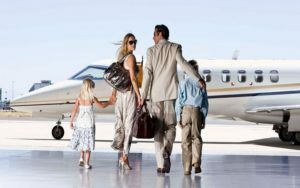 Those that belong to the chic hotels are closed, but there are also public. On the embankment there are blue chairs everywhere, on which it is so nice to sit, looking at the sea and the nearby Lerin islands. Until the middle of the XIX century, there was a country road, which was part of the pilgrimage “The Way of the Small Cross” (Croisette in French means “small cross”). 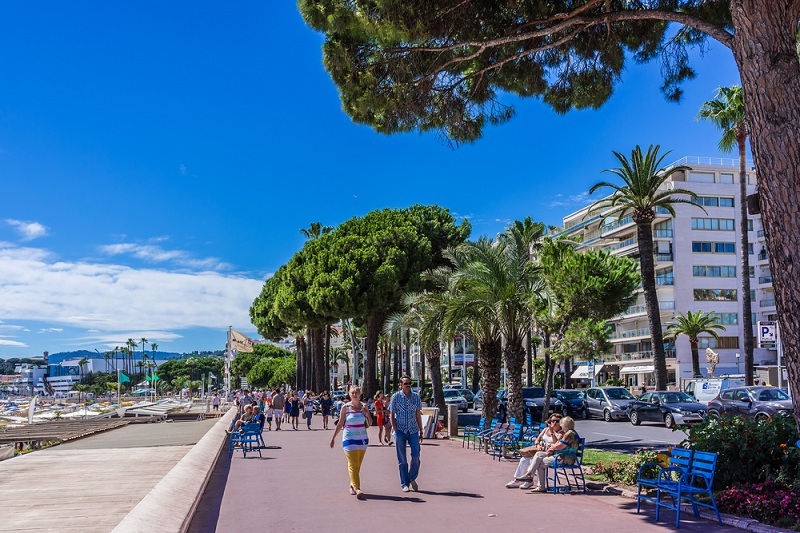 The English embankment of Nice (it is the Promenade des Anglais) in terms of glamor is the main competitor of Boulevard de la Croisette, which was even built according to its pattern. Just like on Croisette, there are a lot of chic hotels, restaurants, shops, and beaches. True, it is twice as long as the Cannes promenade. 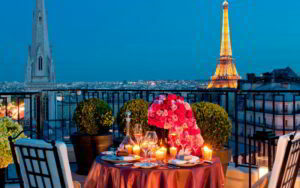 Its main decorations are the Negresco, Meridien, and Weltmeister hotels. 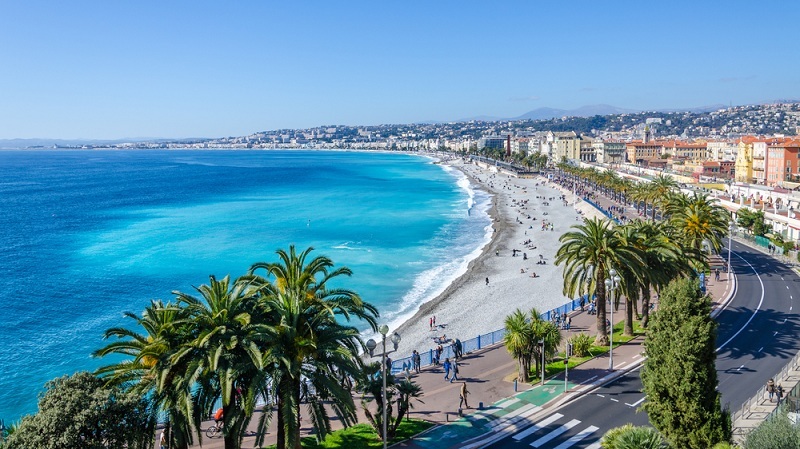 The embankment begins at the Nice airport, called “Côte d’Azur”, and ends at the foot of the Castle Hill, on top of which there are several viewing platforms, from which there are stunning views of the embankment and the bay of the Angels. You can climb there by the Lezazh staircase, which begins near the building of the hotel “Suiss”. The most famous embankment of the New World. 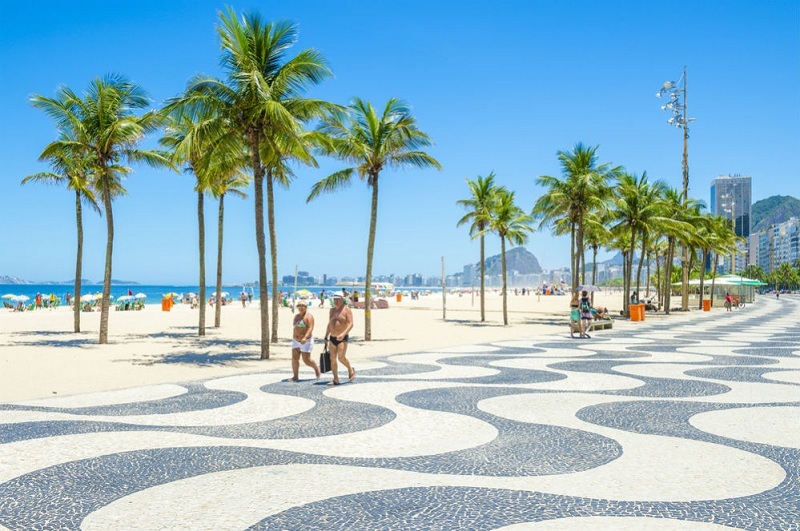 Although, in fact, Copacabana is the central beach of Rio de Janeiro, and the 4-kilometer embankment that runs along the world’s largest city beach is called Avenida Atlantica. The main decoration of the embankment is sand sculptures, which are constantly updated by local artists. Masquerades, fireworks and other folk festivals are also attributes of Copacabana, the main of which is the mass meeting of the New Year. Copacabana also often becomes the largest concert venue in Brazil. Here, right on the beach, in front of a multimillion audience were Rolling Stones, Elton John, Rod Stewart, and many others. “Malecon” in Spanish means simply “quay”. But this word has long been transformed into Havana in the proper name. At one end of the hotel is the Hotel Havana Riviera, and in the other, the fortress of San Salvador de la Punta. 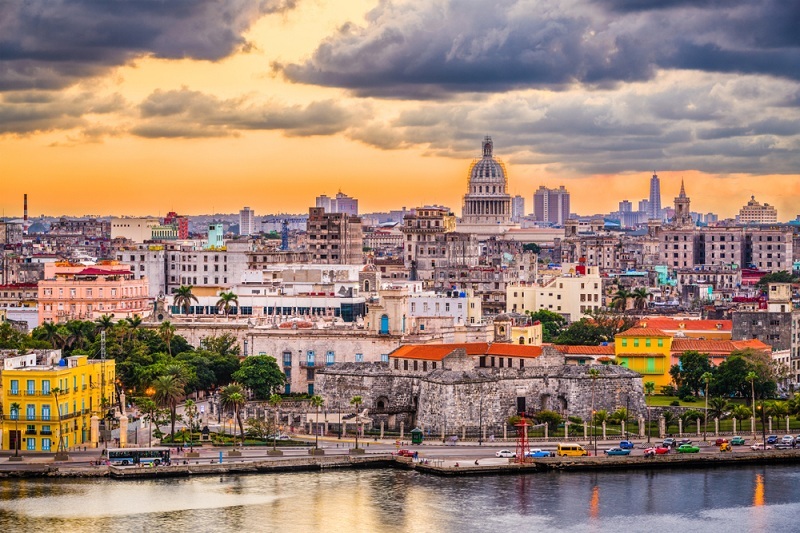 The 7-kilometer embankment of the capital of Cuba was created as a defense against giant waves that during the storm reached a height of ten meters, and eventually became a cult place for local youth and tourists. The main party center on Malone is a site where the embankment intersects with 23rd Street (La Rampa), next to the chic National Hotel. The main decoration of Malecon – numerous colonial buildings with sometimes shabby, but from even more picturesque facades of pastel tones. Mumbai Marin-drive is very similar to the Havana Malecon. 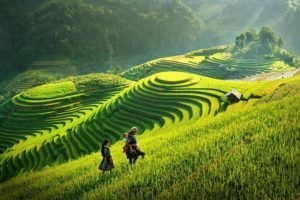 It is also popular with local youth and tourists, as long and as picturesque. True, instead of shabby houses along it towering fairly accurate by Indian standards, the Art Deco style. The Marin-Drive embankment begins at the so-called “Edge of Light” – Cape Nariman Point, stretches along Bay Back Bay, passing through the best Mumbai beach of Chowpatty, past the largest aquarium in Taraporevala in India and ends at the foot of Malabar Hill, built up with skyscrapers and the mansions of wealthy Indians. Here, at the top of Malabar Hill, is the botanical park “Hanging Gardens”, from which wonderful views of the Marin Drive and the sunset over the Arabian Sea open. 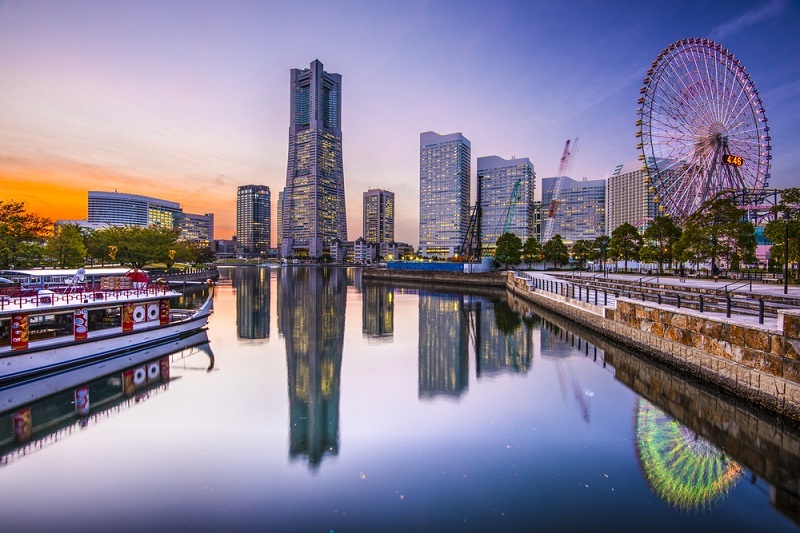 The second largest city in Japan, Yokohama is located south of Tokyo and actually merges with it. The Yokohama embankment is on the shore of Tokyo Bay, and this is perhaps the only place where you can go to the seashore without the threat of being surrounded by industrial areas and warehouses. Right on the shore of the bay, there is a 112-meter “Kosmo Klok” Ferris wheel, surrounded by an amusement park. But the most remarkable here is the view of the Yokohama Bay suspension bridge, the city skyscrapers, and Mount Fuji-san. It is best to admire all this splendor at sunset from the roof of the passenger terminal of the port of Yokohama – Osambashi. 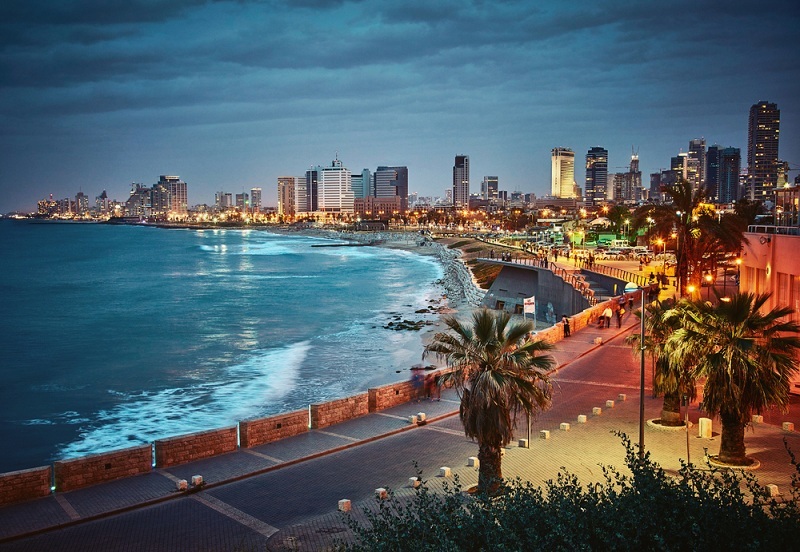 The multi-kilometer strip of the city beaches of Tel Aviv in Hebrew is called Taelet. It is continuous but topographically divided into several parts. There are 16 beaches in Tel Aviv. For every taste: there are beaches for orthodoxies, for swimming with dogs, a beach protected by artificial breakwaters, a beach of Drummers, where on Fridays they beat drums and many others … The promenade usually starts at the port of Jaffa and ends at the Old Port of Tel Aviv, along the way admiring the hotels – masterpieces of modern architecture, having a snack in numerous fish restaurants and plunging into the waves of the Mediterranean from time to time. Perhaps the tiniest, but at the same time the most comfortable quay in our review. 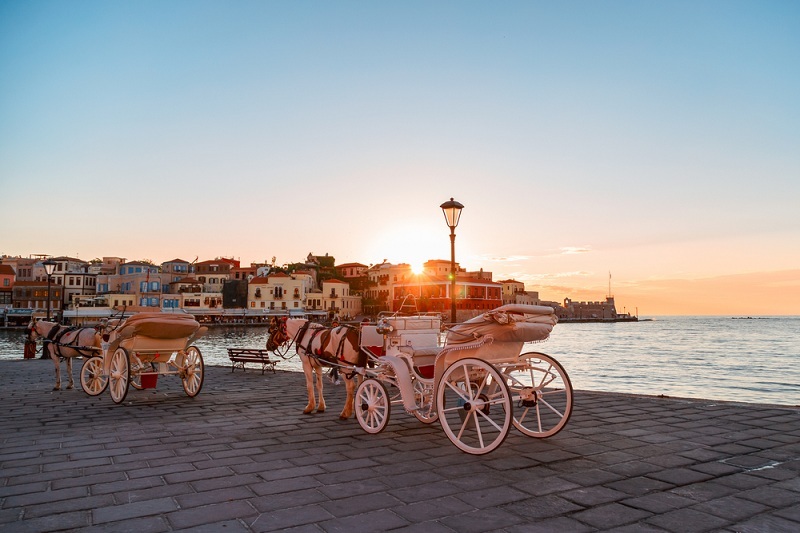 Built by the Venetians Chania, which they called Canela, it reminds primarily Venice. The same as the palazzo there along the emerald waters, only more minimal. But, unlike Venice, the Byzantine, Greek, and Turkish features were mixed in the architecture here. So in the former Turkish mosque exhibitions are held, and in the Venetian docks, a reconstructed ship of the epoch of the Minoan civilization is exhibited. The entire embankment is enclosed within a tiny bay, bounded from one end by a medieval fortress, and on the other by a lighthouse resembling a minaret. 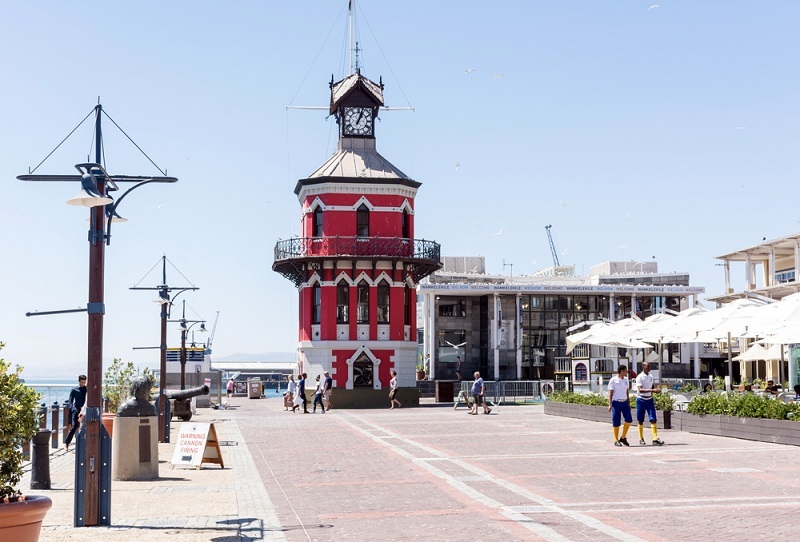 The most picturesque quay of Africa is named in honor of Queen Victoria and her son Alfred, who personally took part in its construction in 1867. A red and white, almost toy clock tower, preserved from the time of the Victorian era, a miniature drawbridge, a huge Ferris wheel, an aquarium with hand-held penguins, four funny big-headed statues of Nobel laureates from South Africa, embraced by tourists, every night performances of various black artists … From here you can see a stunning view of one of the main symbols of Cape Town – the Table Mountain. And the most embankment is best admired from the terrace of the shopping center Victoria Wharf. 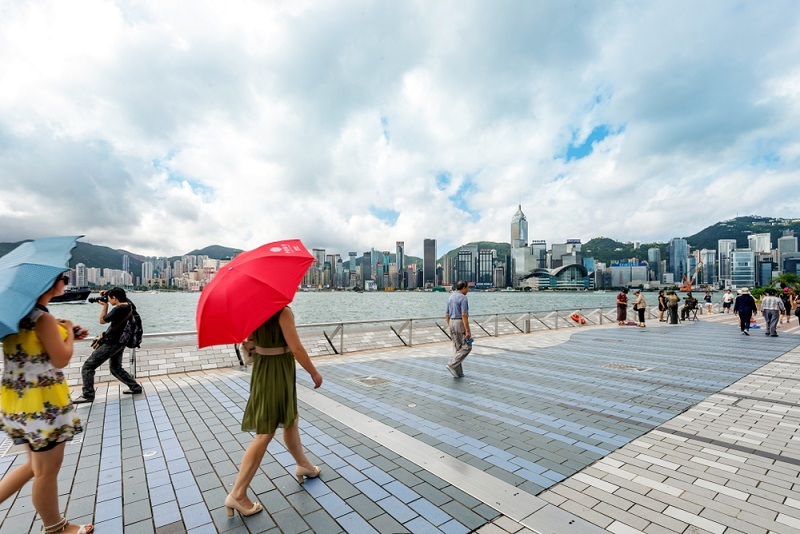 The most famous embankment of Hong Kong – Tsim Sha Tsui promenade – is located on the southern tip of the Kowloon Peninsula, on the Victoria Bay. Its main attraction is the Chinese Alley of Stars, created by the Hollywood Walk of Fame. In the center is a monument to Bruce Lee, the most popular Hong Kong artist. At eight in the evening the embankment turns into an auditorium: the illumination of skyscrapers of the opposite shore turns on with music, the sky lights up with laser beams of all colors of the rainbow. The best place to watch this spectacular show is next to the Hong Kong Museum of Art. 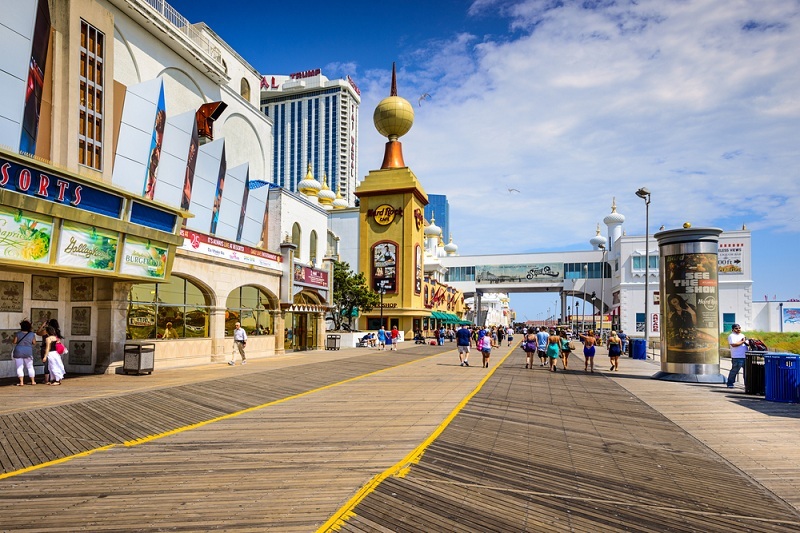 The first thing that catches the eye of Atlantic City Boarwock – the most famous waterfront in North America – is its boardwalk, reminiscent of parquet. 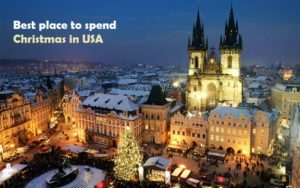 And then – bright, fabulous houses of the most incredible shapes and colors, which host hotels, restaurants, and casinos (Atlantic City – the second after Las Vegas American gambling center). 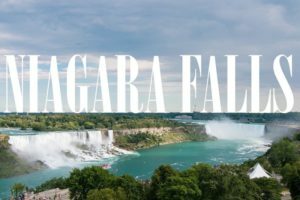 Immediately there is an amusement park, an oceanarium, one of America’s tallest lighthouses, turned into a viewing tower, many magnificent (and free!) Museums and shows, well, and, as usual, the stunning beaches of the Atlantic Ocean. The Bosphorus between the Black Sea and the Sea of Marmara is 30 kilometers long and about a kilometer wide. 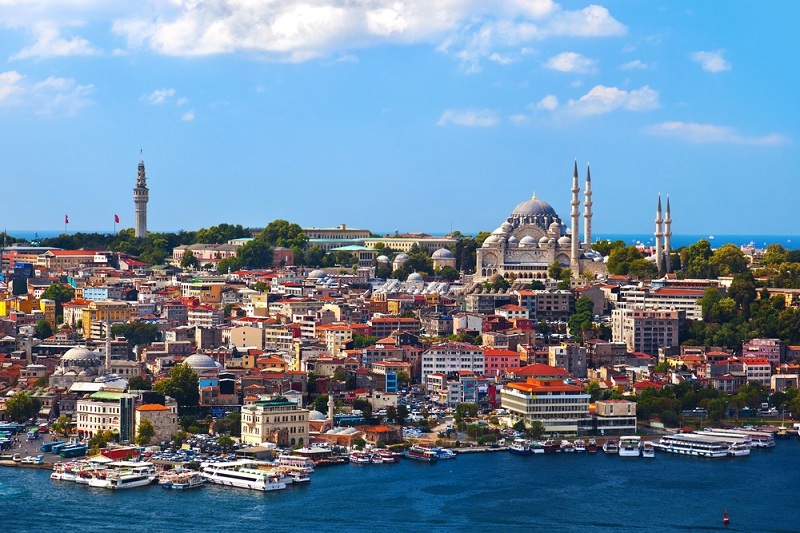 The entire southern part of the Bosporus is within the city, forming one of the most picturesque embankments of the world. It, of course, does not go along the strait with a solid line and consists of many small, outcropping areas, each with its own character and its unique color. Such is, for example, the embankment near the Ortaköy mosque, where the whole Istanbul is going to eat potatoes baked according to a special recipe, or the embankment near the Rumeli-Hisar fortress with a lot of fish restaurants, promenades near the Dolmabahçe and Beilerbei palaces, parks Jemil Topuzlu or Fyndykly. But it is best to admire the embankments of Istanbul from a pleasure boat during an excursion around the Bosphorus.